What are the prospects for gold for the rest of 2014? Last year brought one of the worst performances for gold in its history. Is this a sign that the gold bull run is dead, or does it instead offer a new starting point for those considering investing in gold? Prices are up nearly 5% so far this year…..
Analysts’ predictions for the year are mixed, as usual. Some see the prospects for gold recovering by 5-10% this year, while others predict further declines of 5%. One thing is for sure, the gold price will continue to be volatile while the global economy is evolving so quickly (for better or worse). framework such as supply, demand and past performance, but also by market sentiment. The analysts now envisaging a further fall in the price, are the very same people who predicted huge annual gains right through until 2018 only a year ago. This demonstrates not only that no-one really knows what the future holds, but also that financial analysts, along with the press are very fickle. Crucially, the underlying spot price has now fallen below the break-even point for many gold mines. This means that several contributors to the supply of gold are currently working at a loss. It doesn’t take a genius to work out that this can only last for so long. I would suspect that the natural rules of supply and demand would see any mine closures leading to suppressed supply and therefore price increases. We also continue to see 2 very different markets within gold investment. The electronic methods of gold ownership such as ETFs, mining shares and funds continue to dwindle in demand. Meanwhile demand for physical gold coins and bars remains robust despite the price falls. This has even led to very restricted supply, with the value of Victorian gold Sovereigns trading at huge premiums and the Royal Mint running out of supply of the new 2014 version of the popular coin. My feeling is that once the wave of negative sentiment runs out of steam, the sustained physical demand will inevitably stabilise and then increase the price. While the gold price dropped significantly last year and it continues its volatility this year, we must not lose sight that gold should always be perceived as a medium to long term investment. This view helps iron out any price drops the metal may suffer in the short term and provide the overall peace of mind, protection and returns we come to expect over the long term. This has been reflected with our day to day business, where the number of panic sellers has been limited and our savvy investors realise they should continue to hold their position and ride out the storm. Portfolio insurance is still required in today’s fragile economy and many realise they can now pick up gold’s insurance capabilities at 30% less than was possible a year ago. 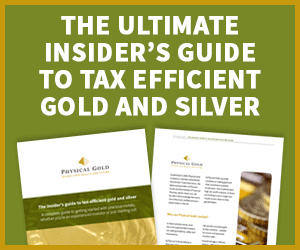 Indeed, many existing holders of gold have looked to add to their position to reduce their average purchase price while prices are so low – consequently benefiting their overall portfolio once prospects for gold improve. While it’s difficult to predict the future price of an asset, it is even more challenging when you consider all the macro variables which can also affect the gold price. These in themselves are impossible to accurately predict, but may have a huge impact on the performance of your gold investment. The starting point for uncertainty lies with inflation. While all seems under control now, this beast can rear its head very quickly. With house price values in the UK continuing to shock on the upside, a new property price bubble could easily trigger inflation to move higher. This is being fuelled by the ‘Help to Buy’ scheme and an ever increasing population combined with a lack of new builds. In fact, rhetoric from the Bank of England already suggests that falling unemployment may trigger a rise in interest rates sooner rather than later. No doubt a housing bubble would further expedite an increase in interest rates. While gold is renowned to perform well in an inflationary environment, it is the possible consequences of such an interest rate increase which could further propel the gold price upwards. Many UK families are only surviving day to day because the interest rate on their mortgage is so low. It may only take a slight increase in rates to send many households on variable rates spiralling into debt, pushing the recovery back several steps. On the flip side, we should also consider that while growth figures are looking rosy in the UK, the continued globalisation of the economy means we remain reliant on Europe, the US and Asia for so many of our exports and business. It’s very possible that while we are currently able to stand on our own two feet, we could well get dragged back by the continued demise of our trade partners. The truth is that very few are successful in predicting the future and basing all your investment strategy on one analyst or another will require huge luck to do well. This is magnified when we find ourselves in the midst of the most volatile economic environment in a generation. When sentiment is such a significant driver of an asset’s value, it becomes even more difficult to evaluate prospects for gold technically. The best policy as ever is to take a medium term view and spread your eggs into different baskets. Perhaps your overall allocation to gold may be lower than merited 5 years ago but to own none at all leaves you vulnerable to inflation, rising interest rates and the possible demise of the Euro. If you don’t own any gold yet, then now may be the time to capitalise on the lowest prices for 3 to 4 years. Which Is the Best Investment Opportunity – the Bitcoin or Bullion?